As many of you know, I love body weight exercises. The health club that I attend (Anytime Fitness) recently added a simple system that is so streamline it looks scary. Remember when the balance ball came out and we were mystified? Well, the much-loved balance ball is about to take second place to TRX. TRX is suspension training, using your own body weight and gravity to train your muscles. Once you see the adaptations of your childhood exercises (push ups, tricep deps, crunches and much more), you will quickly see the benefit. A full body workout—upper body, lower body and core. Leverages your body weight using Mother Nature's gravity. Targets your core in every exercise. Offers beginner, intermediate, and advanced workouts. The TRX system offers a full-body workout. From the upper body to the lower body to specific exercises to target the core. 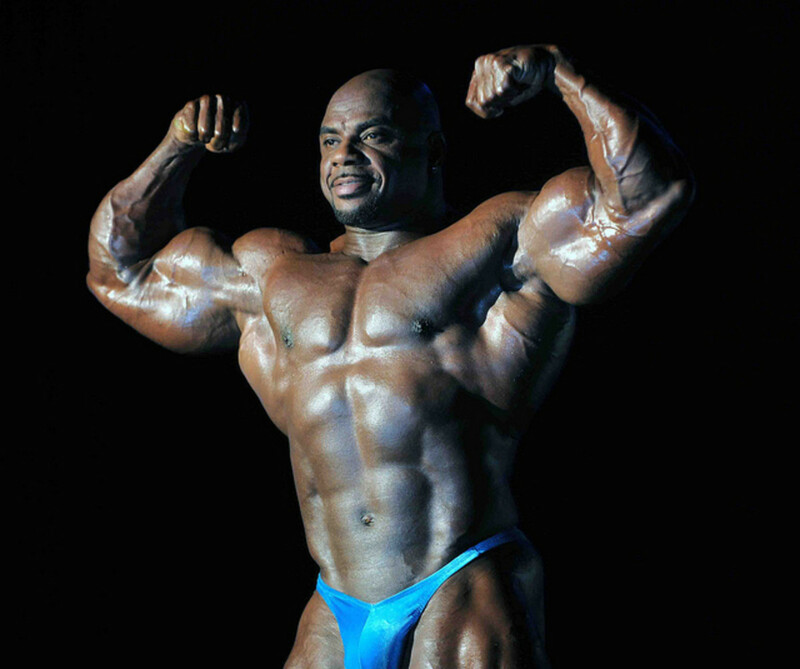 The hamstring curl and the oblique twist have me enthralled. These two areas are hard to target train. 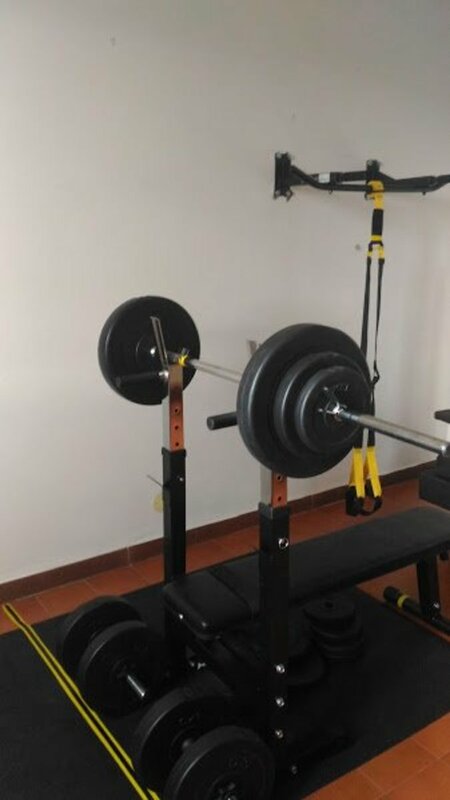 Yes, there are specialized pieces of equipment made by every major equipment manufacturer, but using your own body weight rather than the machine weight has me aching to give this TRX system a try. But being a wimp, I will start with the basic push up just to get a feel for the power of leveraging my weight against Mother Nature's gravity. Ham Strings As a woman of age (turning over 50 is rough—the body just isn't has kind as it was in my youth), my ham strings bother me. Fitness machines are clumsy. The ham string curl with the TRX, however, looks tenuous but highly efficient and effective. I cannot wait to give it a try. Pendulum Exercise This one, on the other hand, look impossible for my current fitness level. I believe that one I will have to work up to over time. TRX Lunges Lunges are hard on my knees. For my legs, specifically targeting the tear drop muscle on my legs (known in the fitness world as the VMO, just above and to the inside of the kneecap, is easier with traditional fitness machines. Oh, the many wondrous benefits of the TRX workout system! With just a simple band that travels well, you leverage your own body weight using gravity to work the core. What exercise program can compete with this? 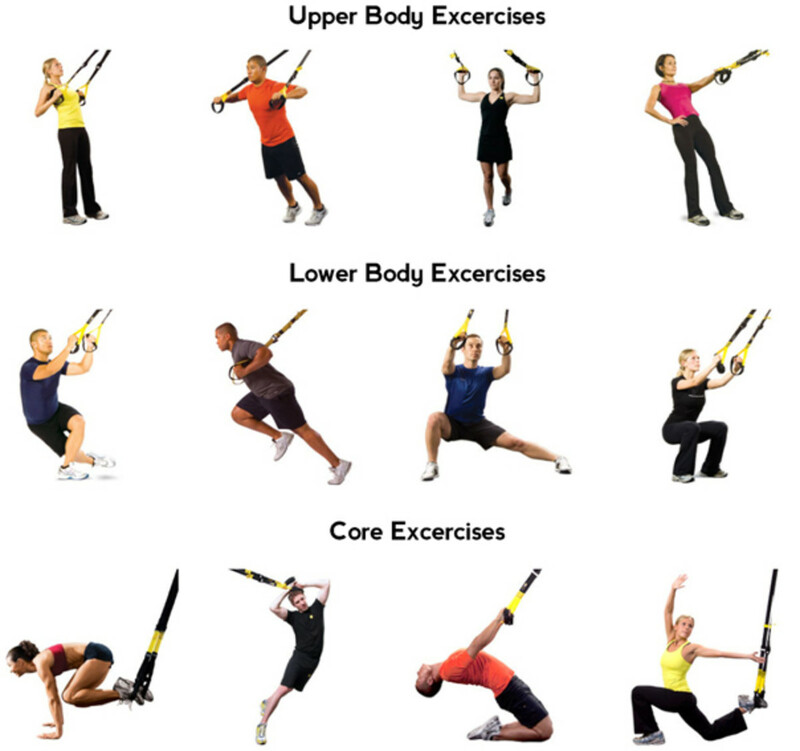 Let's take a look at the many different areas of the body that the TRX system can target. Your first workout with TRX straps. Shortly you will have the opportunity to see a workout from Scott Herman, who showcases not just the beginner moves but also quickly walks through the intermediate and advanced movements. While Scott doesn't say this, I believe starting with just the upper body is the best way to say hello to TRX. The upper body exercises appear simply natural—like a child play. For you see, when I was a child, my fondest memory is holding my grandfather's hand on one side and on the other holding my mom's and then swinging like a monkey. For you see the TRX exercise system is just grown up child's play! Does your health club offer the TRX? The inventor is an American and was trained by the world-renowned Navy Seals. These military personnel are cut from a different cloth—they are both physical specimens of excellence and highly intelligent. Leave it to the Europeans to take the lead with this great new exercise tool. Just as the Swiss ball was given its notoriety by Europe, so too, most posters of TRX exercises come from Europe. I imagine this will change shortly as the TRX system comes to a health club near you. Recently my local YMCA began advertising that they had the TRX system. If your club doesn't have this system now, they will. It is a fantastic tool for a number of reasons. One is the fact that all the exercises use the core, which helps develop stability to avoid injury. When we strengthen our core, we can prevent trips and falls and improve our health. OK ladies, listen up, even if you are not interested in exercise, you will still want to watch this introduction by Scott Herman. Why? He is hot! But listen closely and will see, he also knows what he is talking about. In less than 14 minutes, Scott will show you 9 fabulous exercise with the TRX. Also, he will provide for you the complete workout including the number of repetitions and rest period between sets. All that and he very well-built and adorable. Enjoy! Have you tried the TRX suspension training system? If so, please share your experience below. If not, please let us know how you view this new fitness tool. I am so glad that this article has motivated you to recognize that we all need to move and exercise more. I hope you change your ways and make an important appointment today with fitness in some manner each day! Thank you for a very detailed hub. It inspired me a lot. But it also reminded me that I exercise way too little. ... But I will change my way. Yes, as a babyboomer, I can relate - some exercises are more for the younger set. Just today I recommended to a young man TRX as I could see it as a viable challenge for him. I am anxious to try TRX but even with all my certifications, I do not want to try this on my own - I do want professional guidance. If there ever was an exercise program that needed a personal trainer - weightlifting and TRX I feel mandate professional oversight. Thank you so much for stopping by and contributing - I always enjoy reading your hubs and feel honored for you have stopped by. You are a true friend - thank you! This is an interesting and fascinating article. I have never heard of this exercise program until reading this article. That it was invented by Navy SEALS truly makes it a fit exercise regimen. I am older now too, and some of those exercises I don't think I am limber or agile enough to do, but there are enough exercises I can do and enjoy. Thanks so much for sharing this with us. Voted up+ and shared. Your story is the battle that we all fight. Injury, illness leads to encouraging our sedentary lifestyle.Then the emotions step in and the monster called depression. Fight the monsters that take away your energy. It will help your energy, your skin and attitude. Kelly, this is such a thorough explanation of the TRX exercises, it is very helpful. 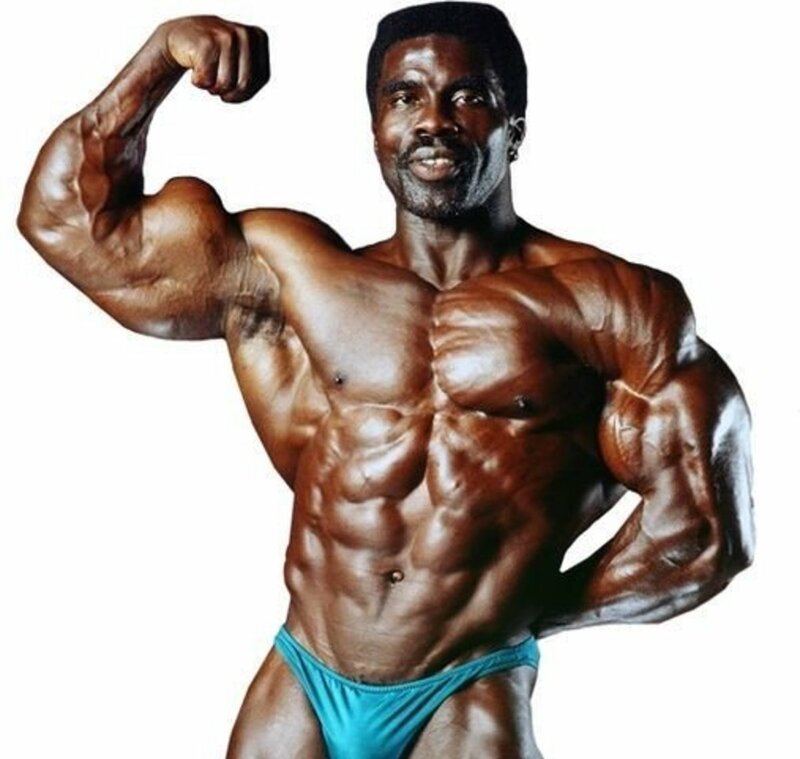 You are an inspiration to those of us over 50 to stay fit. I am now 60 and my sister is 58. We are two opposite ends of the exercise spectrum and her commitment to her exercise regime is commendable. I on the other hand, have been a slacker. I've engaged in the double whammy: I stopped exercising and I started eating poorly...hence, I have gained weight and have not lost it. I'm the most I've weighed in my life. Even when I was pregnant, I did not weigh this much and took much better care of myself. Frankly, my attitude is blasé and indifferent. I have yet to become more motivated about it, although I have started reading in more detail about the health risks. Interestingly, I used to be a very active child, teen and young adult through my thirties. After that my depression kicked in, and then I had a hysterectomy, and thyroid problems. Everything seemed to stop after that in regards to being motivated to exercise. I also became an emotional eater, which I did not realize until many years later. Wow, after re-reading my response I realize I am filled with excuses as to why I don't exercise, lol. Thanks for the wonderful photo guides and explanation. UP/U/I and sharing. I agree - the TRX appears intimidating at first. When I spoke with the Club Manager and asked about TRX - he stated it was included in the introduction. This saddened me because I think group training on this would be ideal. It would allow some interaction and serve to be motivational. And those who have conquered this challenge would have a chance to show off. I will try it but only when the club is empty - that is my agenda and I am sticking to it. I don't know if these are offered at my gym. I would bet I would need some instruction; I could imagine I'd get hung up. Good hub! I am passing it along to someone who is more nimble than I.